Wow this will be a complicated week, I spent the most of my time resting and relaxing because tomorrow I´ll be back at the Hospital and of course College, very soon I´ll be writing a post about that I need make vry good my schedule because this new year will be a bit more complicated blogging and I still very obligatory reviews for you ＼(^o^)／ And some way is pretty exciting too. I should make this review a long time ago~ But well I did so many reviews before and I think the skin care products I need use for a long time for make an honest review. This product is the Etude House My Lash Serum and I bought this a long time ago and I used for over 9 months and works pretty good. ◕ Packaging: I like it this look like a clear mascara with a cute pink top and the cute font in front for me is simple but pretty. ◕ Brush: The brush is perfect for a serum because is very soft and is the right size so you can reach the small lashes too. ◕ Formula: For me this can smells some strong for a serum and the texture is like a gel just like clear mascara so the formula makes the eyelashes more stronger so this is a nice formula for me, I have sensitive eyes and I never felt any irritation. - Great for sensitive eyes. - It´s a great quantity of product. 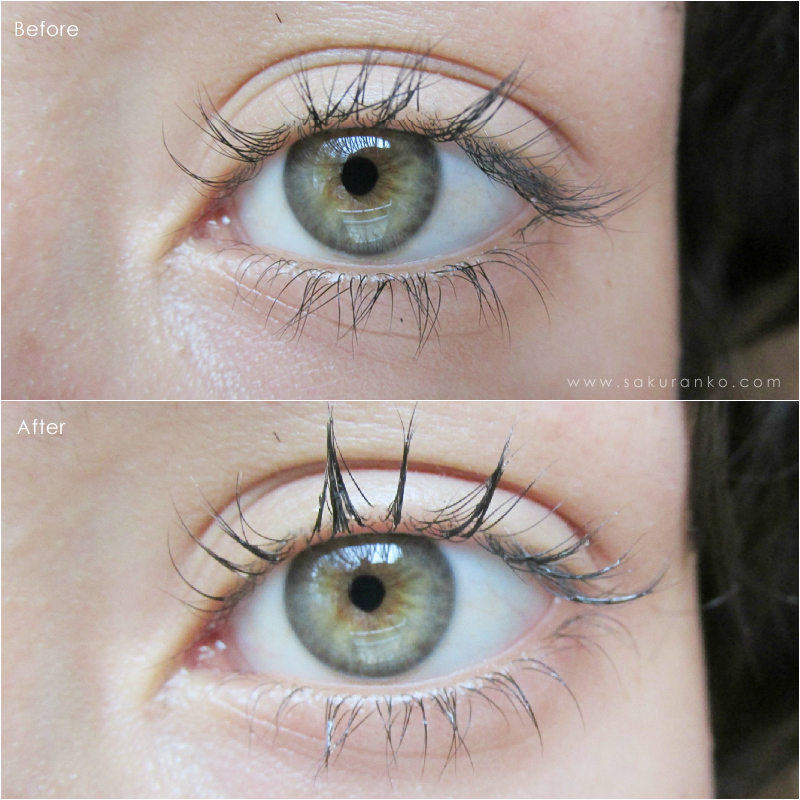 - This make the eyelashes more strong. I think is very impressive like you can use this product over 9 months (using daily) and I still have product ♡(o・ω・) Well on my personal experience this product really works. I use the most of time false eyelashes because are very pretty and if I not use falsies I use like three coats of mascara for makes my eye make up more pretty. And I use mascara for my daily make up obviously I need something for care my eyelashes and I saw this serum and I say well I need something for my eyelashes. Normally when I was removing my eye makeup how some eyelashes fallen on my cotton pad and was pretty sad (ﾉ)*´꒳`*(ヾ) but since I started to use this product I don´t see any fallen eyelash and of course my routine was exactly the same with the eye makeup. I would repurchase this product after use another serum. Btw the price was just $7 USD with free shipping I saw the price at some stores aand ebay around $5 USD this is a great product for that price. It sounds like you have a lot going on right now. I hope things go well! This lash serum sounds absolutely fantastic. What a great item! Wonderful effect, i want it! Love your lashes? Btw, did the serum lengthen them? I bought a similar product like this from Japan from the brand canmake. I have yet to use it and test it out. This one seems like a good one too and very affordable! I never thought about using a lash serum since my lashes are so full. I'm glad it's worked for you! So many of those serum products don't produce the results they promise. i think i need this serum ! I've never try this before, seems good .. I never used a lash serum. Did you see any difference after using it for some time? Like stronger lashes or something? My eyelashes are more stronger now sweetie. Me encanta este serum, al final tuve que botarlo porque ya tenía un olor raro y no había terminado de gastarlo :c pero, es cierto. Ya las pestañas no se me caen tanto como antes y sirve mucho como una prebase también. I have never heard go this product, but this seems so promising! It looks so cool ! I might have to try this lash serum. It sounds fantastic! wow it looks very effective! Thanks for this review. I've been looking for a lash serum because I don't like putting falsies on. Has this made your lashes longer?